With their Spring 2014 issue of "Scintilla," editors of the on-line literary magazine published their first collection of fiction, non-fiction, and poetry dedicated to a single topic. 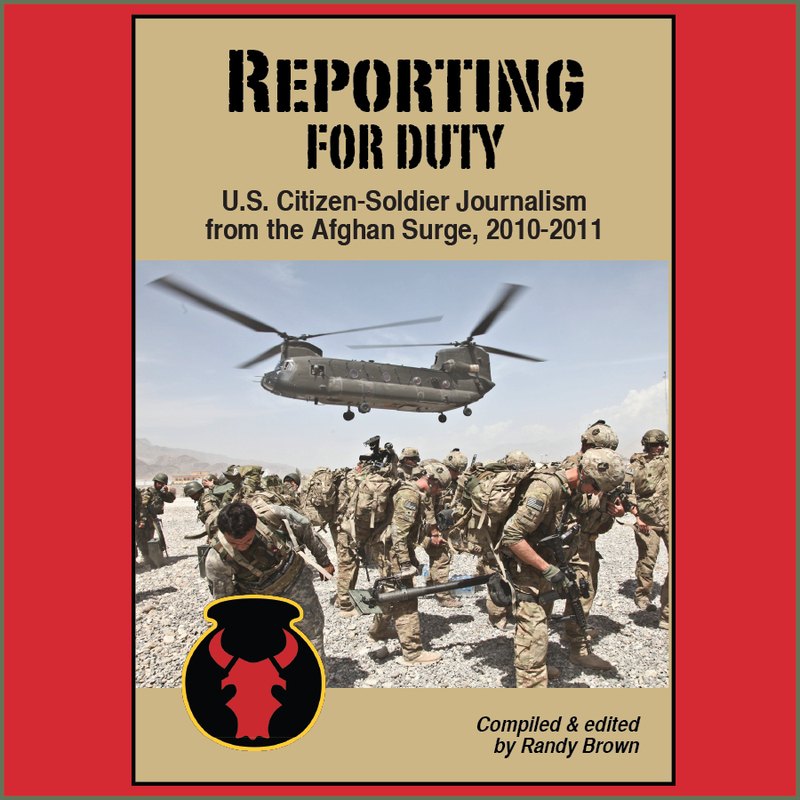 The "Literature of War: At Home and Abroad" issue features writers with both direct and indirect experience with the military. Founded in 2011, the magazine is published twice yearly, and is available to readers FREE online here. In the new issue's introduction, Editor Tim Lepczyk calls it the "best [...] most challenging issue we’ve published." [...] I’m in awe of the meaning these writers have brought forth, the vision, painful at times, that they have shared. For many of us, the wars in Afghanistan and Iraq have played out in a vacuum. If Vietnam was the first televised war, what were, what are these wars? The overlooked? The distant? [...] Of the twenty-two writers whose work we published, the wars in Afghanistan and Iraq mean different things. For some, there may be overlap, and for others, their viewpoints may be diametrically opposed. What we have though are the ways in which people have been affected. We have stories. We have poems. They add to the larger narrative, and perhaps, together, create meaning. The short stories in the issue are risk-taking, format-breaking, and invite multiple readings. For example, Robert Wallace's "A Brief History of the Universe" is a consciousness-bending and -blending tale that reveals itself to be less about homecoming, and more about the nuclear bonds between soldiers. It's "Thelma and Louise" meets "Band of Brothers," by way of "Rashomon." In the issue's singular non-fiction feature, New York Air National Guard airman Julio A. Olivencia's "Fine Dirt and Dead Birds," the writer offers an impressionistic series of scenes, ranging from a ho-hum homecoming to cruising down Bagram's notorious Disney Drive at rush hour. "Me and Teddy found the perfect song for driving down Disney in the morning," Mike says, as we pull onto the main drag of Bagram Airfield. We start the morning crawl with "Shiny Happy People" coming out of the speaker in the cup holder. For some, war is hell. For others, it's a commute. It is in the issue's center-mass of 23 poems, however, that readers will encounter a rapid-fire salvo of hard-hitting—and sometimes humorous—provocations and perspectives. Two poems—"Non-Combat Related Incidents and Other Lies" by Heidi Andrea Restrepo Rhodes, and "Private" by Adam Berlin—indelibly engage the topic of sexual assault in U.S. military ranks. These are words that should be read, and discussed widely. In his editorial, Lepczyk mentions that he was partly inspired to produce the war-themed issue as early as "Scintilla" No. 2, when the publication featured a poem by U.S. Army veteran Paul David Adkins. That poem was "War Story #164: Explaining Why I Brought to Iraq But Couldn’t Open Weldon Kees’ Collected Poems." 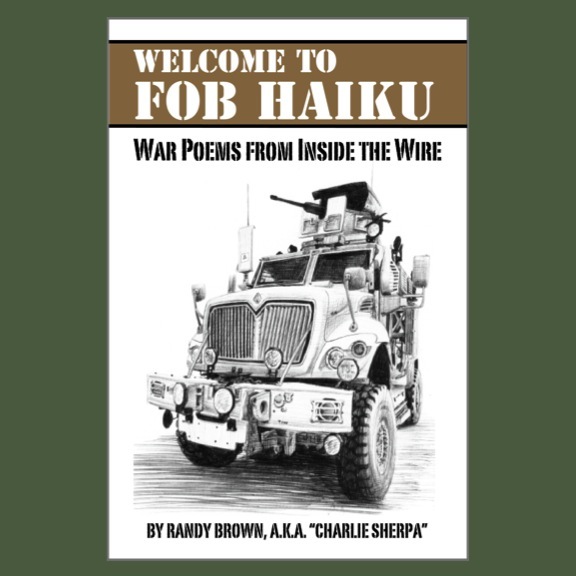 Three more of Adkins' poems are featured in the "Literature of War" issue. Adkins' work often seems rooted in a low reality of TOC dispatches and SIGACT reports, which explode into the consideration of things more sublime. His "Iraqi Army Unit on Camp Striker, Baghdad Iraq," for example, offers a gritty, sh--ty little anecdote—the circumstances of which might be recognizable to anyone involved in training host-nation forces. Sparks swirled as if they conjured a genie. In keeping with the oral tradition of "war stories" maintained by soldiers everywhere, the poem builds to a spectacularly scatological pay-off. This is a poem to pass around the barracks ... or the next staff meeting. There is differently dark humor to be found elsewhere in the issue. In "Iraq Reflection," for example, Charity Winters delivers some clever wordplay and poetic construction using acronyms such as "IEDs and EFPs." To this reader, when viewed as a whole, the poem becomes a calligram, taking on the distinctive shape of a concave plate of copper—a component of the deadly Explosively Formed Penetrators (E.F.P.) mentioned in the work. Provocative, poetic, poignant, Scintilla's foray into the literature of war deserves the considered attentions of both our citizens and our soldiers. Give your eyes time to adjust. Let the issue serve as an illumination round, parachute-floating briefly overhead, casting shadows so that we may see others—and have others see us. We are frozen for this moment. When it gets dark, we shall start moving again. Note: "Scintilla" No. 6 also features "leaving empty," a poem by the writer of the Red Bull Rising blog. The poem regards the 2001 destruction by the Taliban of two giant statues of the Buddha located in Afghanistan's Bamiyan Province. In 2009, the Iowa National Guard's 2nd Brigade Combat Team (B.C.T. 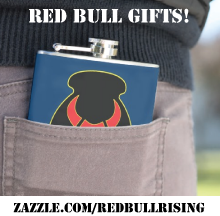 ), 34th Infantry "Red Bull" Division (2-34th BCT) was preparing for a deployment that included that province. The mission changed before the unit arrived in country.